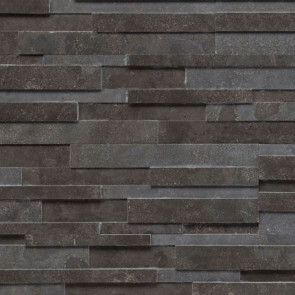 Carbon Honed Panel (Limestone) 6" x 24"
Carbon Honed is a rugged but smooth grey granite. 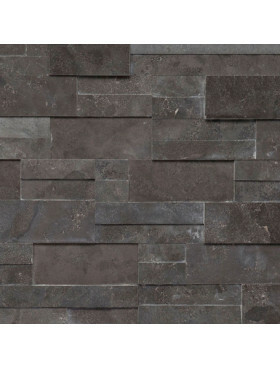 Each individual stone varies in width for a very natural, even look, and each 6” high panels will have 4-5 rows. Sold by the box; Each box contains 6 pieces, totaling 6.0 square feet ($18.33/square foot). Estimated lead time 1-2 weeks. Realstone System's thin stone veneers offer the beauty and durability of real stone without the installation hassles and weight of full-sized stones. 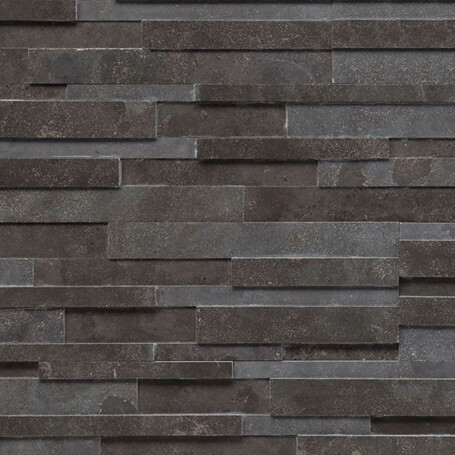 Measuring only 0.5" - 2.0" deep, our natural stone panels are lightweight and suitable for use on most interior and exterior walls. Made of reclaimed and recycled stone, our panels are a sustainable, environmentally friendly alternative to faux and manufactured stone. 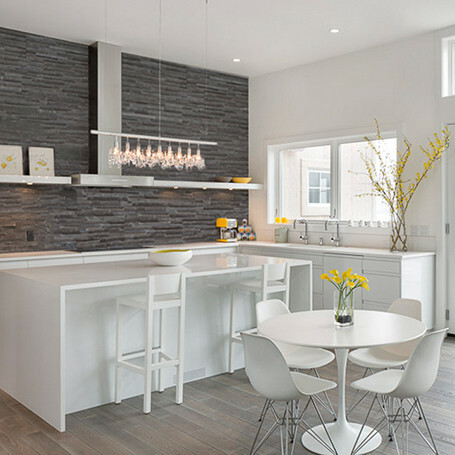 Each thin stone veneer panel is composed of a number of individual natural stones that have been adhered together. These modular panels fit seamlessly together and allow installers to cover a large surface area in a short amount of time with little waste.